KIM Jee-woon’s highly anticipated Inrang (working title), a remake of the Japanese animation Jinroh: The Wolf Brigade, completed almost eight months of production on March 23. 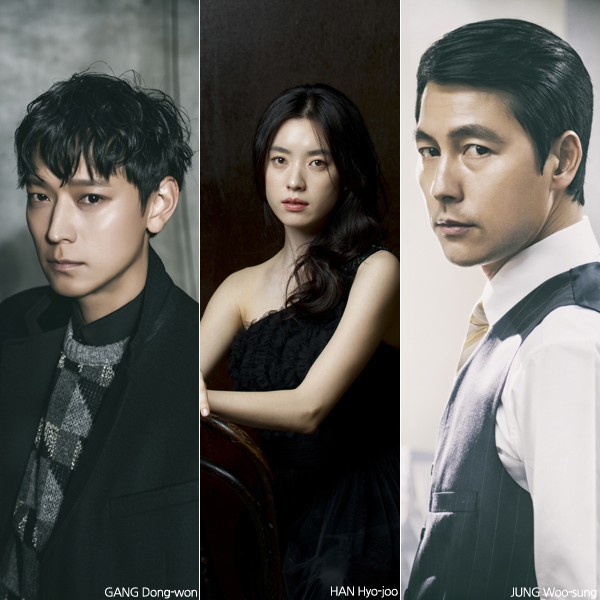 The project is headlined by GANG Dong-won, HAN Hyo-joo and JUNG Woo-sung. Set in the near future, the film takes place in a world where the governments of South and North Korea are on the cusp of reunification, following seven years of preparation. When demonstrations opposing the unification turn more violent, a special police force is formed to combat them. The film’s unusually long production period follows an equally long development process as Inrang was first announced in 2013. The project was stalled on several occasions until director KIM found himself reuniting with Warner Bros. Korea. GANG Dong-won was recently seen in the political drama 1987: When the Day Comes (2017) and the Lunar New Year thriller Golden Slumber. HAN Hyo-joo also appeared in Golden Slumber while JUNG Woo-sung headlined the North Korea spy action-drama Steel Rain (2017) in December. Featuring alongside the main cast in the film are GIM Mu-yeol of Forgotten (2017), HAN Ye-ri from A Quiet Dream (2016), HU Joon-ho (The Merciless, 2017) and Minho, a member of Kpop group SHINee. Known for A Bittersweet Life (2005), The Good, The Bad, And The Weird (2008) and I Saw the Devil (2010), director KIM most recently helmed the period spy drama The Age of Shadows (2016), which was the first film to be financed and distributed by Warner Bros. Korea. The plan is to release the film at some point in the summer, but given the extensive VFX work required for post-production, the distributor is unable to confirm a release at this time.